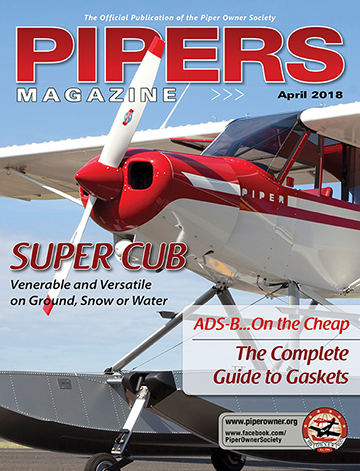 Piper Owner Society A&P Erich Rempert helped a member recently after they noticed their airplane was 20 knots slower than it was supposed to be. We asked Rempert to write a story that might help all airplane owners. Members can flip through the digital-magazine version of this story here. Q:“Hi, I own a 1980 Turbo Arrow IV, and I note quite a difference in true airspeed gained vs POH. For example, for FL160, OAT -13C, 75%, leaned 100 RoP the POH states 168 true. But I’m getting only 157 true. That’s a difference of 11 knots! Moreover, the plane has the complete Lopresti speed kit installed, which should provide another performance gain of 10 knots, so actually I’m about 20 knots too slow! “Similar differences are on other flight levels/temps. I have a Garmin 500 installed, which measures TAS exactly. Also, my climb rate is quite low. With cruise climb speed (104 KIAS, 33/2450) I’m getting 500 fpm at maximum. Sometimes only 400 fpm. While investigating the reason, I figured out that the exhaust was about 10 cm too long (a previous owner added some extra piece to avoid cleaning the belly). I’ve cut that and brought it back to standard length. Another point is the Lopresti wing tips. They are not in line with the ailerons but have a level difference which is thick as a finger. I guess fixing this will give me an improvement of may be 5 knots. But what about the other 15 knots? “Prop governor, mags are fresh overhauled, engine has only 600 hours since last overhaul, gear-up check was OK (see link below), turbo charger is dry and easily reaches 41”. Any hints where to look further are highly appreciated! A: The quest for making our airplanes faster and more efficient is never-ending, and often the observed results of “speed mods” are less than expected or advertised. However in your case, I believe I can turn the lights on in a few rooms for you to investigate! First off, have you personally (and recently) had your aircraft weighed? If not, you should. I have seen many aircraft with weight and balance reports that have only ever been mathematically calculated since new. The margin for error is tremendous, and the likelihood of things being left out is even a greater certainty. 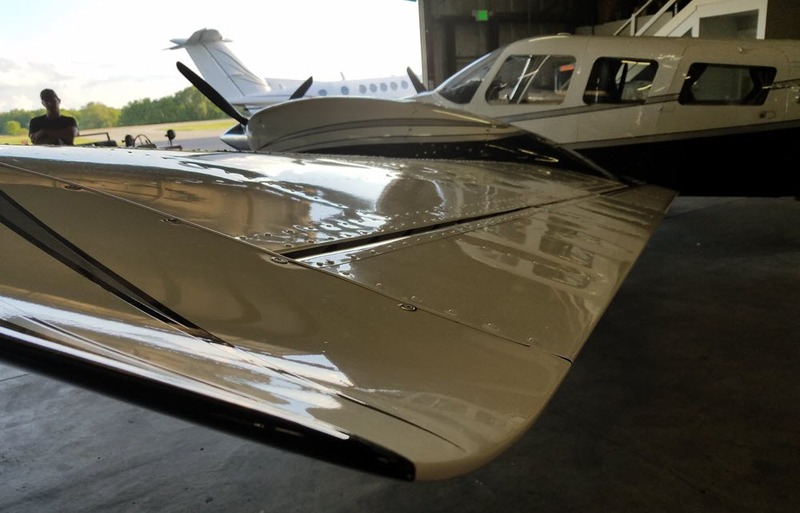 If you have been unknowingly flying your airplane substantially over gross on a routine basis it is expected that performance would suffer compared to what would normally be expected. I suggest your airplane be physically weighed: 1) At purchase; 2) Whenever substantial alterations are made; 3) Every 10 years to keep up with “age.” Most shops that have weighing capability can do the job in a half day, which should result in a bill of $500 or less. Knowing what you actually weigh may not be flattering (don’t get me started), but it can shed a “ton” of light on your actual situation. I was sobered by an honest weight and balance I ran for my own airplane with my wife, my daughter, and myself aboard with full fuel based on our “current flying weights” (i.e., what you actually weigh with all the junk in your pockets or purse when you climb into the airplane). Just because you think you know what things weigh, doesn’t mean you do. Next, I need to ask you some questions regarding your airplane’s rigging. I can see from the pictures you provided that both your ailerons are dropped down below your wing tips in the neutral position. This makes me think years of adjusting cable tensions has pulled things out of whack. When you are all settled in, in cruise, in smooth air, does the ball center up on your Turn Coordinator? Does the airplane have a consistently heavy wing (with a balanced fuel load, of course)? If with your feet on the floor and the wings held level the ball is not centered in cruise, you have a rigging issue. If your airplane with the ball centered in cruise (holding pressure if you have to) has a wing that is heavy (the airplane always seems to fall off to the right or left consistently), you have a rigging issue. Rigging is the No. 1 thing no mechanic wants to touch unless the owner complains, and it’s also the No. 1 robber of those precious knots at the top of the arc. Any time the airplane has control deflection it is introducing drag, many times greater than what can be “cleaned up” by speed mods, speed secrets, or witchcraft. If the ball is not centered, you are flying in a slip in cruise; if the wings will not stay level while hands off, you have a partial speed brake deployment on each wing. Well, you need to look at the rigging with a critical eye, and that may require you start from scratch. You mentioned the wing tips are not level with the ailerons and correcting this may gain some speed. I agree, but I suspect we have a different vision in mind on how to accomplish this. And if the rigging is OK?